"I'm floating!!! Like a new person, with a deep sense of relaxation and renewed peace. Thank you so much!" 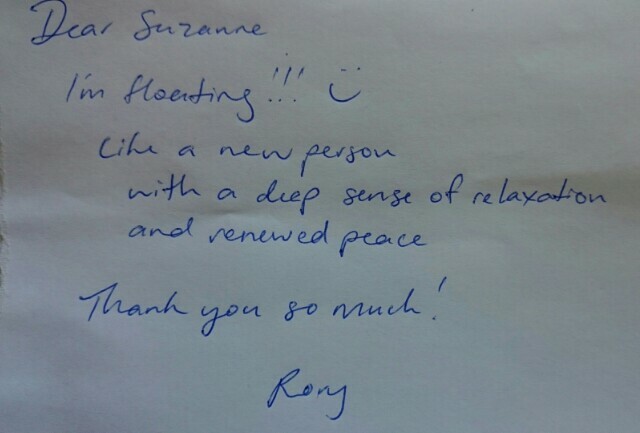 Rory M. >read more..
"I have regular massage treatments with Suzanne and I highly recommend her" Jan B. "Suzanne is friendly, professional and fantastic value for money" Sarah M.
"The best back neck shoulder massage I have ever had". Katrina W.